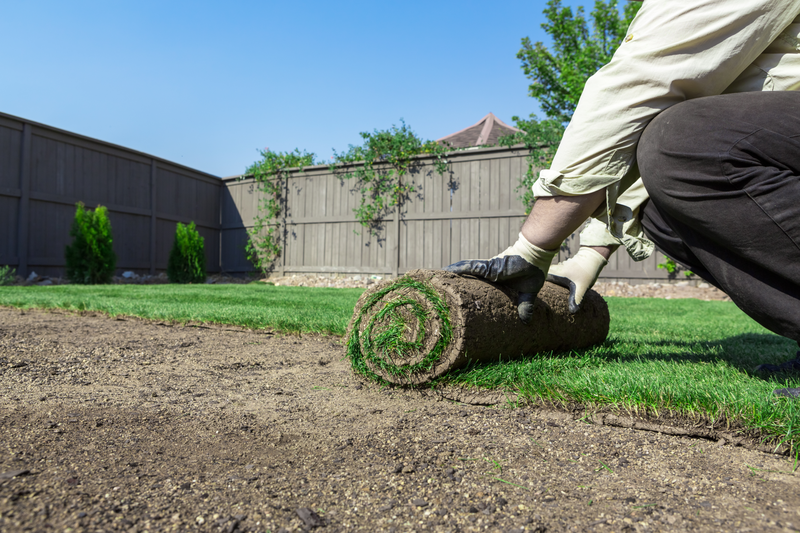 Sod Installation: During new home construction, stone and other unwanted debris are frequently scattered throughout the property by various contractors and builders. As the new sod is installed, concealing the debris, we have found bare spots and poor drainage to be inevitable over time. Our approach to sod installation is a three step process. First, we remove all unwanted debris such as trash, rocks, and construction debris from the soil surface. Next, we install screened topsoil to a minimum depth of one inch to enable the sod to effectively root itself in the soil. Finish grading and additional soil may be required before the final step of laying and installing the sod. All of our sod is shipped directly from the grower and is delivered by tractor-trailer to the job site. Seeding: In most circumstances, seeding is a more cost effective solution than sod, although the results are not as immediate. A common mistake we have noticed, made by others in the industry, is the use of inferior materials that likely cause undesirable results. Some contractors may choose to spread rye grass or a blend heavy in rye or top dress the newly seeded areas with straw. Rye grass will germinate and grow quickly, likely within 7 to 10 days. It is a light shade of green and more susceptible to disease and the effects of drought than fescue or Kentucky blue blends. Straw does serve a purpose in protecting the new seed from erosion and animals until germination, however, it also contains weed seeds that germinate in the turf. Our method to seeding is a well-planned process that eliminates the undesirable results consistent with using inferior products. Our seed blend is typically comprised of 80% fescue and 20% rye grass. The 20% rye is a necessary component for quick germination and soil retention while 80% fescue or bluegrass blend is the desirable variety required for weed-free turf. Top dressing with salt hay is an important step in our seeding regiment. Salt hay contains no inert material or weed seeds that could possibly germinate and contaminate your turf. While slightly more expensive than straw, salt hay effectively protects the newly seeded areas from erosion and animals with none of the unwanted side effects of using straw. Aeration & Overseeding: Over the course of the nine-month growing season, soil can become compacted by mowers and other equipment. Compacted soil deters water, oxygen, and nutrients from penetrating the soil surface and traveling to the roots of the grass. Core aeration reverses the effects of compacted soil and promotes thriving, weed-free turf. Overseeding can greatly benefit the existing turf, especially when performed in the fall and in conjunction with aeration. Yearly aeration and over seeding benefits the turf by allowing it to reach a point where it is thriving and able to naturally outcompete weeds and disease. This decreases the need to use fertilizer, herbicides, insecticides and other chemicals that need to be applied to the turfgrass. Yearly aeration and seeding is the single best thing you can do for your lawn to establish thick, lush, deep green turf.